Frozen Fever will boast a new original song by Robert Lopez and Kristen Anderson-Lopez. Disney is developing a Frozen short film called Frozen Fever, set to air in spring 2015. Variety reports that Frozen Fever will feature a new original song by Robert Lopez and Kristen Anderson-Lopez, while Frozen directors Jennifer Lee and Chris Buck will return to helm the short. 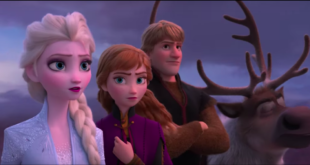 Frozen Fever takes place on Anna’s birthday and sees Elsa and Kristoff attempt to give her the best celebration ever, but Elsa’s icy powers threaten to put the party at risk. Olaf the snowman is also confirmed to appear.